There’s nothing quite like bountiful, blooming flowers to add an air of romance to your wedding day. Whether you’re looking for simple arrangements and a modest bouquet, or dream of lavish floral displays for each part of your wedding, flowers are the ultimate styling element. They imbue your day with colour, and if you’re using fresh flowers, add a gorgeous natural scent. Flowers are also a beautiful way to carry your theme from your ceremony by matching bouquets, arch flowers and aisle décor with table centrepieces and floral displays at your reception. They are a significant part of your wedding décor so you should do your research and work with a skilful and creative professional floral designer that understands what you want. But before you look for your florist (hint: start at the Modern Wedding directory!) do your research and get inspired! Start by learning what flowers will be in season for your date then get inspired by the many different floral designs are out there! 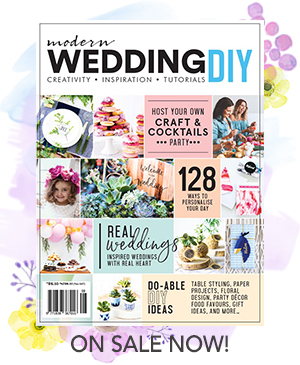 Modern Wedding has tips and articles on the freshest floral trends, from table centrepieces to bouquets to wearing flowers in your hair. Get ready to be inspired to create the most beautiful, floral affair ever! We have gathered a selection of seriously stunning floral ideas that will suit your winter wedding perfectly! Weddings can be expensive! From the venue to the dress, cake and rings.. it all adds up. To take some stress off your wedding budget, Prestige Retreats are offering an amazing deal too good to miss! Beautiful and bountiful wedding day blooms don’t have to break the bank. Here are 10 elegant and affordable fresh flower ideas that you can incorporate into your big day.